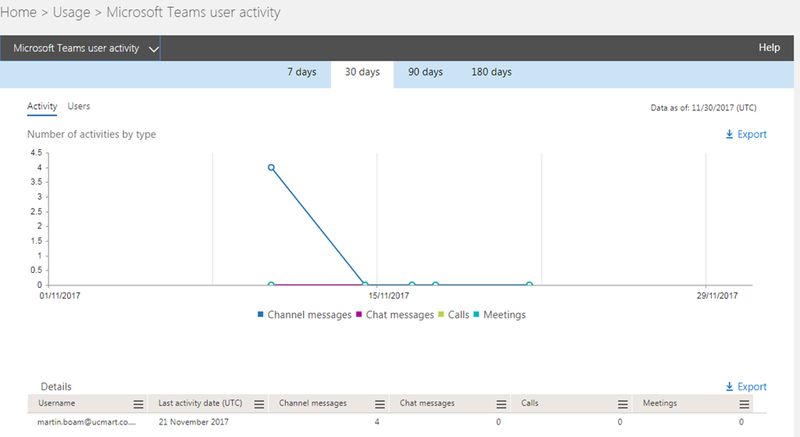 After a busy week last week moving out of our house its time to recap on last weeks news and first up is new Usage reports for Microsoft Teams which is great and also there’s been a number of updates for November including PowerShell, Usage reports, Data residency in UK, Support for conditional access on Macs, new teams client features as well ! Christmas has come early lol. Link to Tech Community Post here, Great post and i recommend reading this. 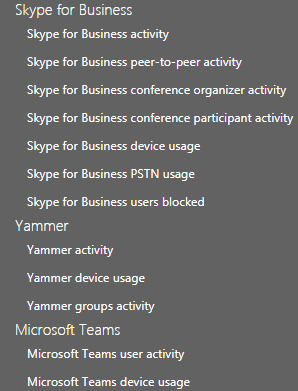 Clicking on Active Users takes me to reports for usage and we can see Microsoft Teams activity included as well. 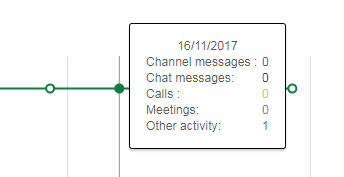 We can export again and view the same durations as before. 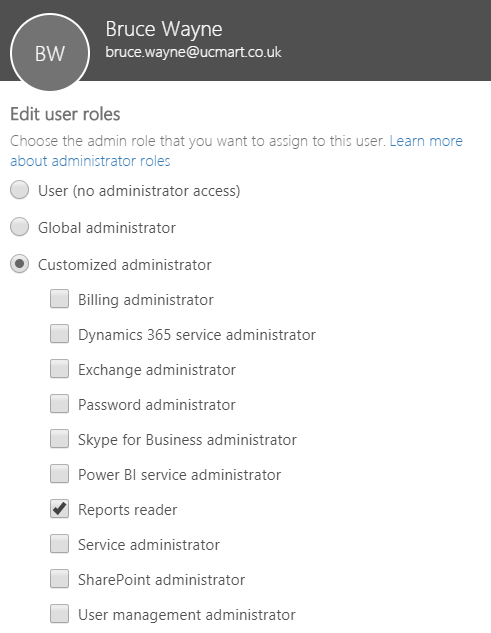 The usage reports in the admin center can be accessed by people that are assigned with a global admin or a product specific admin role (Exchange, Skype for Business, SharePoint). 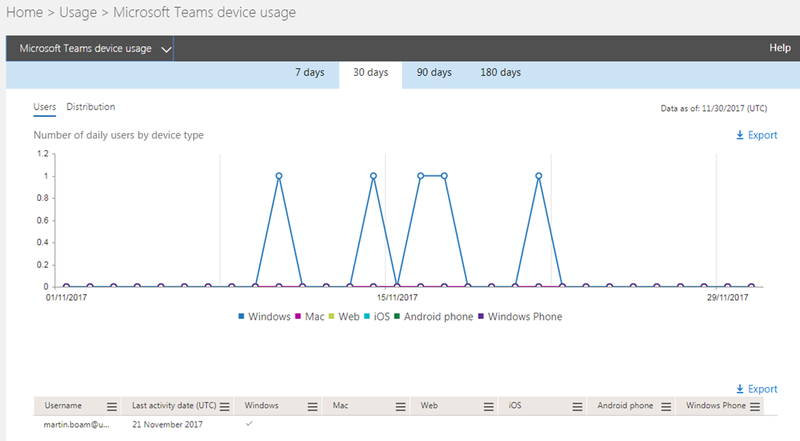 Really really good to have these reports especially for tracking Microsoft Teams usage and Adoption. 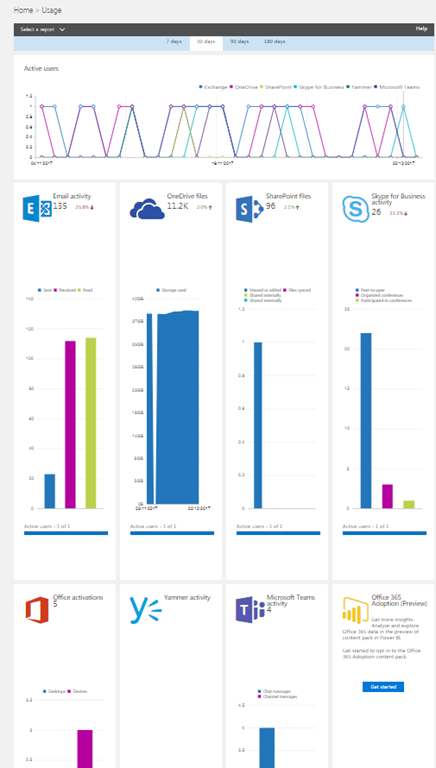 I imagine there’s a lot more reports to come as when comparing the amount of Teams reports against SfB there’s still a difference but the products don’t have the same level as functionality yet so more will come in time and great to have these first to report on usage and adoption and these reports can be used to drive usage area or adoption. Thank you Teams team.